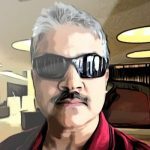 First, we must cast a glance on Prof Sanjay Bakshi’s favourite stocks which are probably held either in his personal account or for the ValueQuest India Moat Fund. The Prof described these stocks as having “very high quality of earnings”, “exceptionally strong balance sheet” and “highly scalable business” in a post written at microcap club. As one can see, the performance of the stocks is quite disparate. The Prof’s bet on realty stocks (Ashiana Housing & Poddar Developers) was ill-timed. The slowdown in the realty sector has taken its toll on both stocks. Vaibhav Global has also turned out to a poor stock pick so far. The Prof wrote an elaborate “case study” on Vaibhav Global titled “62 Bagger And Counting: An E-commerce Business That Actually Makes MONEY But Almost Didn’t” in which he described it as “highly profitable, cash generating, extremely well financed, and dominant business in its space”. He also said Vaibhav Global has an “impenetrable moat” due to its “low cost advantage formula”. Kitex Garments was also lauded by the Prof in a “lecture note” titled “The Importance of Unconventionality”. The Prof emphasized that Kitex Garments had “gigantic customers” and was/is a “highly profitable business” and that its “revenues and earnings will grow manifold over the next decade”. Unfortunately, some of that growth has slowed down in the case of Kitex. Also, the Company appears to be mired in a controversy over a sum of Rs. 200 crore and the abrupt resignation of its CFO. All these happenings are being vigilantly tracked by the sleuths at the valuepickr forum. The intriguing part is that there is no update from the Prof about both stocks. Given that quite some time has elapsed since the original “case study” and “lecture note”, one would like to see an update on whether the original investment thesis still holds good or has changed. The Prof has also not issued a commentary on the state of the market or on what investors should do now. Such cataclysmic events and Bear markets are once-in-a-lifetime experience and there is much that one can learn from it, both from a theoretical and practical perspective. In his latest piece titled “The Eventual Consequences of Risk Seeking or Risk Blind Behavior”, the Prof has laboured hard to drive home the point that investors should avoid risk to the extent possible. The Prof states that in his illustrious career of 21 years, he has “peed on many electric fences” and has “plenty of scars” on his body. The Prof has cited several day-to-examples such as overtaking, jumping at red lights, bull fights, etc to emphasize that people go crazy with over-confidence when they want to avoid risk. In other words, the prospect of a loss turns normal people into dare-devil risk-takers is the Prof’s point. (vi) Avoid IPOs as they are excessively promoted. Some of these points are known to us. However, the Prof does put it in a persuasive manner and we would do well to pay close attention to the points. Prof Sanjay Bakshi’s Fav Stocks Suffer Huge Losses In Correction. Is It Time To Buy Them? 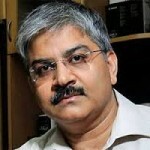 Is Prof Sanjay Bakshi’s Fav E-Com Stock Giving Us A Chance To Make Mega Bucks? Dear Arjun, picking out some ace investors stock and placing it on a 3 month timeframe intentionally, when the markets nosedived, is a bit unfair. We should see from the reference point of when those stocks were recommended by the Prof and at what level. I am sure all these are multibaggers from that standpoint. Ha ha. If he had not recommended those stocks when he did, how would he himself exit from those? had enough of the professors lectures…kitex, ashiana, vaibhav are all in big losses…it all feels good when hearing to some lectures on value investing…but when it comes to actual returns…you don’t need to be a professor to beat the markets..
Prof also doing the same mistakes as we small investers do.In a roraing market most of the logics will hold ,but during down turn logics fall flat..So buy quality stocks when market is bleeding and always take out some cash when market at new high.Easy to preach but difficult to implement for me atleast. absolutely agree with you . Its time to be on our own and start buying only quality stocks . We already missed to make money at peak, but whatever cash we have we should use now . Prof’s Buying price are much lower for all his stock picks, Its his followers who go the stock off late when price already jumped up….I believe He is still making good money out of his stocks as he had bought them well below prices..when there was no euphorea…. This article is meant for him but not for investors by him. please post some analytical article on How market suddenly turned up and how come Modi started performing in last few days . Since till now lot of us l were blaming modi for stock market correction, now it will be interesting to see analysis on what happened so quickly . It will be nice to see reaction of Guru’s who were warning investors to stay away from market till last week . Looks like when Porinju was busy to say sorry to Jim Rogers, FII were busy in buying .